8 More Reasons to Move to SharePoint Online - Total Solutions, Inc. Previously, I wrote about the reasoning behind my decision to migrate our SharePoint farm, The Vault, from SharePoint 2013 On-Premise to SharePoint Online. It’s been over a year since the move, and looking back my only regret was not moving into Office 365 and SharePoint Online sooner! A couple months ago, I attended the livestream of the launch event for SharePoint 2016, and I was blown away by some the new features coming to SharePoint in the second half of the year, so it seems like a good time to re-examine hosting SharePoint On Premise Vs Online. In doing so, I came up with eight more compelling reasons to move to SharePoint Online. At Total Solutions, we leverage external sharing significantly through the usage of our services management portal, in which our clients can drop in tickets and monitor them as we make progress on their requests. We have found the process of inviting external users to be fairly painless, however, our external users have struggled with the somewhat clunky login process. The login process was very confusing at times, and contained a few too many steps for the average end user. Luckily, there has been a recent improvement to this process! This change to external access presents external users with a cleaner page after receiving the invite and clicking on the link. Previously, if a user didn’t have a Microsoft account, the user was asked to associate the e-mail address to a new or existing Microsoft account, and this process often caused a lot of confusion. The new experience is highly simplified. Now users just create an account and verify the e-mail address associated with it, and then they are in! OneDrive for Business is a powerful place to create and collaborate on files. Using OneDrive for Business, an individual can create a document, easily share it with others to get ideas, feedback, and add expertise to the document. OneDrive for Business gives organizations a place to put all of their working files, sharing and collaborating both internally and externally, on any device. Essentially this is your “My Documents” folder in the cloud! For example, when a document is ready to publish, new features in OneDrive for Business allow for easy moving or copying the document into a SharePoint team site for greater consumption. Also the new Sync client delivers performance and reliability improvements to OneDrive, plus the new OneDrive app offers a mobile-friendly experience as well. In addition, users can now get analytics on the impact and reach of documents that have been shared out allowing for users to truly understand the impact of their work within their organization. If you watched the videos from the launch event, you were treated to previews of a variety of new SharePoint features aimed at enhancing productivity. More specifically, the introduction of the mobile experience with SharePoint plus general improvements to make SharePoint feel like a more modern and agile platform. Some of these new features are already out with most of the others slated to be rolled out by the end of 2016-for SharePoint Online customers, that is. Microsoft remains committed to the on premise experience by introducing Feature Packs to allow admins to pick when they roll out new features, but the first feature pack won’t be available until sometime in 2017. My guess is as a general rule of thumb, IF a new feature is available on premise, you’ll have to wait another 6 to 12 months after it is released for SharePoint Online before that feature is available on premise. 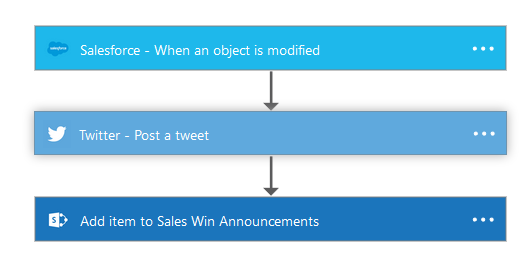 Graph exposes multiple APIs from Microsoft cloud services through a single REST API endpoint. This is what powers the machine learning rolling out across the Office 365 stack. Now I’m not a developer, so I’ll leave the deep dive into this to our developers. Head over to https://graph.microsoft.io/en-us/docs to read more on this topic. Think of Delve as a digital personal assistant. It’s out there on our behalf, seeking out content and information to help us work better. So instead of hunting around for the right content, the right content finds us, courtesy of Delve. For instance, if we’ve got an upcoming meeting, Delve may present us with content related to the meeting or documents that were recently worked on by other meeting attendees. Additionally, Delve is security trimmed, so users will never be presented content of which they don’t have access. Conversations – Similar to a newsfeed, the Group Conversation feature allows a team to closely communicate with each other. The Group itself has an e-mail address and members can see their Group mailbox right alongside their personal Exchange Online mailbox. Calendar – Team Sites have always come with calendars, but SharePoint Team Site calendars left something to be desired. The Office 365 Group Calendar is an Exchange Calendar and delivers all the benefits and features from a regular Exchange Calendar too. Flow and PowerApps are exciting new features that deliver powerful customization and integration capabilities, with little to no code needed, to both end users and power users alike. Currently, these services are only available through Office 365 and SharePoint Online, but there are plans in the product roadmap to bring these features on premise as well. Even still, from what I’ve been able to gather, these services will still require cloud based components to work in an on premise SharePoint environment. Also that is assuming if and/or when they are available for on premise SharePoint customers. If Flow is the way to connect and act on a variety of cloud solutions, then PowerApps is the new way to build “apps” rapidly to suit specific business needs. The apps that developers build, similar to Flow, are able to integrate across multiple data sources, both in the Microsoft service stack and a variety of public software services. One can find a great use case for PowerApps right on the PowerApps Blog , as well as sample apps, templates, and information regarding all of the out-of-the-box connectors that are available. Plus Microsoft is constantly adding in new connectors! At the Future of SharePoint launch event [May 6, 2016] the new SharePoint mobile app was also announced. 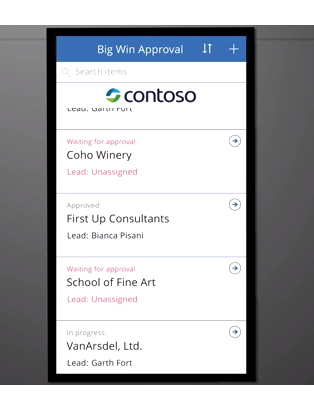 The vision for the SharePoint mobile app is to deliver an intranet experience in everyone’s pocket. The new app is infused with the intelligence from the Office Graph so each user’s experience in the SharePoint mobile app is customized based on their activity within SharePoint, how they interact with other users, and much more. Connectivity to on premise SharePoint via the mobile app should be available by the end of 2016. However, connecting to on premise SharePoint will not allow the leveraging of the Office Graph machine intelligence, which really helps to present what users’ needs based on their activity with both SharePoint content and other people in their organization. 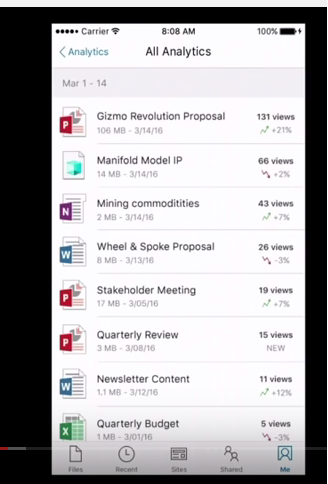 In addition, by leveraging PowerApps, users can quickly create mobile views for SharePoint data. Now, that being said, migration to SharePoint Online comes with its own difficulties, but once there, users can be confident that they’ve performed the last SharePoint migration for their organization! Of course, there’s always the potential to re-organize or re-shuffle content within your SharePoint Online tenant, but when the next version of SharePoint is released there will not be much that needs to be done beyond checking on any customizations that were implemented. For a SharePoint 2013 on premise farm, the current recommended minimum Production environment involves two SharePoint Servers and a SQL Server. To achieve higher availability, and some level of fault tolerance, an administrator would have to scale out to four SharePoint Servers and two SQL Servers. However, this can be a hefty upfront capital investment to launch a SharePoint farm just from the licensing perspective, which doesn’t include the hardware costs, energy costs to run the hardware, server maintenance activities, and the time spent on backups and disaster recovery planning. With SharePoint 2016, and the MinRole topology Microsoft has introduced, the new best practice Production environment involves FOUR SharePoint Servers and a SQL Server. To get the higher availability and fault tolerance mentioned, an organization would need at least EIGHT SharePoint Servers and two SQL Servers. Essentially, the capital expenditure for on premise SharePoint 2016 has at least doubled, while the operating expenditures for SharePoint Online have not . Plus if an organization leverages the entire Office 365 suite, they’re not only getting SharePoint Online, but Exchange Online, Skype for Business, OneDrive for Business, and the whole Office Online suite as well! Compliance and eDiscovery users can utilize Content Search in the Security and Compliance Center to search mailboxes, SharePoint Online sites, and OneDrive for Business locations within the Office 365 tenant. Office 365 Administrators are able to specify retention or preservation policies, as well as setting broad document deletion policies, while still being able to define more specific retention or preservations policies at a granular level. Leveraging the Data Loss Prevention policies in the Security & Compliance Center, Office 365 Admins can identify, monitor, and automatically protect sensitive information. 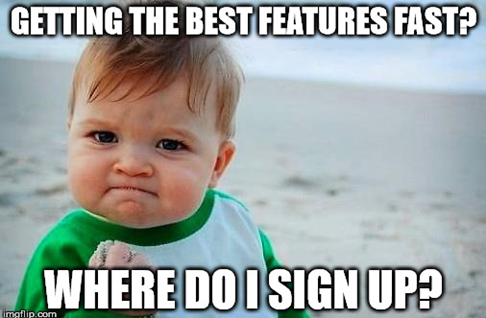 Also, admins can create policies to comply with specific regulations with flexibility to define the locations where the policy applies, conditions the content must match (such as containing a Social Security Number), and the actions to automatically take when content matching the conditions is found (such as block access to the document and send out notifications). More than just leveraging a single text scan, Data Loss Prevention polices perform deep content analysis to detect content that matches established policies. There we have it- 8 More Reasons to Move to SharePoint Online! I do advocate leveraging Microsoft cloud offerings as much as possible, but I also understand there are legitimate business reasons for continuing to use SharePoint on premise. Microsoft has not forgotten about their on premise customers , and SharePoint 2016 on premise edition comes with much better hybrid integrations, which allows organizations to keep data they can’t keep in the cloud still on premise while still leveraging all the rich features of Office 365 and SharePoint Online. We’ll probably get more into the hybrid improvements in future blog posts, but even if an admin or organization knows they’ll need on premise SharePoint I’d still recommend evaluating Office 365 because it can deliver a lot of long-term value to businesses, even if they aren’t leveraging SharePoint Online. Drew is IT Director of Total Solutions and is primarily responsible for overseeing all internal infrastructure and technology. Drew also works with clients as a Senior SharePoint Consultant. Drew is a graduate of Michigan State University, and in his free time enjoys the outdoors, watching and playing various sports, and the occasional video game. Total Solutions is a Microsoft Gold Partner with over 15 years providing quality SharePoint solutions.